This essay was written by Nelson P. Miller, Professor of Law and Associate Dean of Cooley Law School’s Grand Rapids campus. Dean Miller recently received the honor of being named one of the best 26 law teachers in America in a book mentioned below. Rather than touting himself, Dean Miller has written about his esteemed Cooley colleague, Professor Phil Prygoski, who likewise is listed in the book. 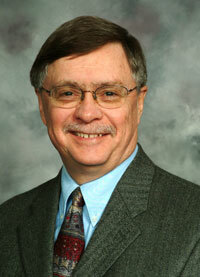 Cooley is the only law school with more than one law teacher featured. The best. How few get to say that they were the best at anything. Ruth and Aaron in baseball. Nicklaus and Woods in golf. Lincoln as president, Churchill as prime minister, Patton and Eisenhower as generals. Shakespeare as playwright and Milton as poet. Einstein. Mozart. Maybe Thomas Edison and Steve Jobs, though in the latter case time must tell. And then Cooley had Professor Phil Prygoski. Harvard University Press just published a 323-page study What the Best Law Teachers Do collecting and presenting evidence of the inspirational teaching practices of 26 of the nation’s best law professors. The book makes Phil Prygoski, for 35 years a beloved constitutional law professor at Cooley, prominent among those 26—in our own view, the best of the best. Yet the Harvard Press book is exquisitely poignant in lauding Phil so highly. Phil has not taught since March 2012, shortly after the study collected its data on Phil, when he suffered a severe brain injury in the classroom. After months of hospitalization and special nursing care, Phil now recovers at home under the care of his wife and family. Colleague Pat Corbett and other Cooley faculty recently led a fundraiser to buy a wheelchair-accessible van and home therapy equipment to aid in Phil’s arduous recovery. John Wayne. Fred Astaire. Van Cliburn. Louis Armstrong. Beethoven. Mozart. The best, Phil. You were the best. Your Cooley family celebrates what it has long known about you and celebrates even further that the world now knows it. Cooley’s faculty just completed its own book tribute to Phil, dedicating the just-published Teaching Law Practice: Educating the Next Generation of Lawyers (Vandeplas 2013), to Phil’s rich legacy of instruction at the school. Professor Victoria Vuletich teaches Professional Responsibility at Cooley Law School. She is chairperson of the ABA’s Center for Professional Responsibility Continuing Legal Education Committee. 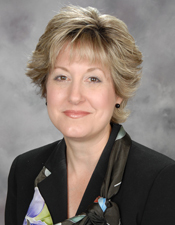 Before joining Cooley’s faculty in 2008, Professor Vuletich was Deputy Division Director of the State Bar of Michigan Professional Standard’s Division, where she advised attorneys regarding ethical dilemmas and practical issues they were facing. She also served as staff counsel to the State Bar of Michigan Client Protection and Unauthorized Practice of Law programs and developed and managed the Practice Management Resource Center. True love, in the form of his wife, Elizabeth, is why Cooley graduate Hana Moefu, a sweet, football-playing Polynesian who was born and raised in Hawai’i, finds himself as an attorney in the small town of Lancaster in southwestern Wisconsin. 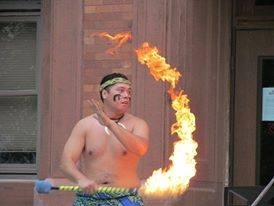 Ever the good community member, Hana volunteered to perform the Samoan Fireknife Dance as his contribution to the annual Lancaster town festival. 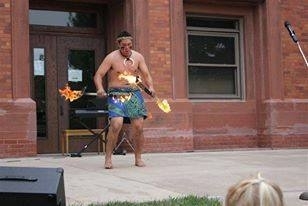 At the festival, which was held in front of the courthouse, several women who work in the court’s offices recognized the fire twirling Hawaiian on stage as the new attorney in town. Abuzz over his performance, the ladies took it from there. The women forwarded this picture of Hana to his firm’s office which posted it to a billboard with a caption that read: “Mess with this attorney…and he’ll bring the fire!” It was originally done in light-hearted fun by Hana’s new firm, but its uniqueness in exposing the area to a diverse culture got Hana’s “name out there” with the local attorneys, the community, and especially the clerks of court. The best marketing can come serendipitously from the acts of others. And every attorney knows that if you have the court clerks on your side, well, you’re in darn good shape! They’ve given Hana their seal of approval – for all the world to see. Building a practice from scratch is a long, slow road. And you rarely see big money in a small town practice. But there are benefits to a small town practice that can’t be quantified. The sense of community and acceptance is a powerful primordial dynamic, as this big-hearted Polynesian has discovered in the middle of Wisconsin farm country.